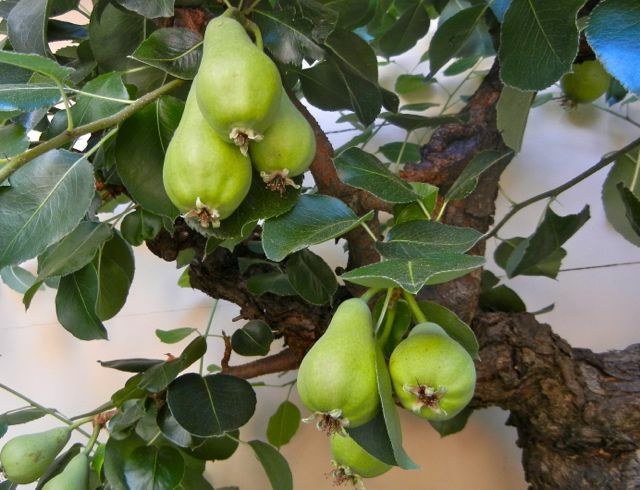 Pears on an older tree. Lots of fruit, but months from being ready. Gravenstein apples. These will grow quickly, some will be ready as soon as July. 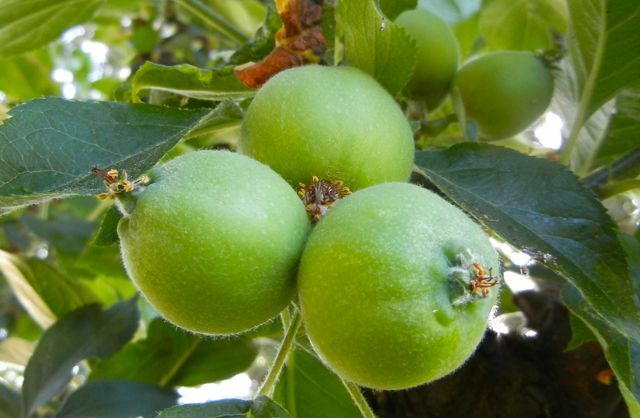 Young macintosh apples. 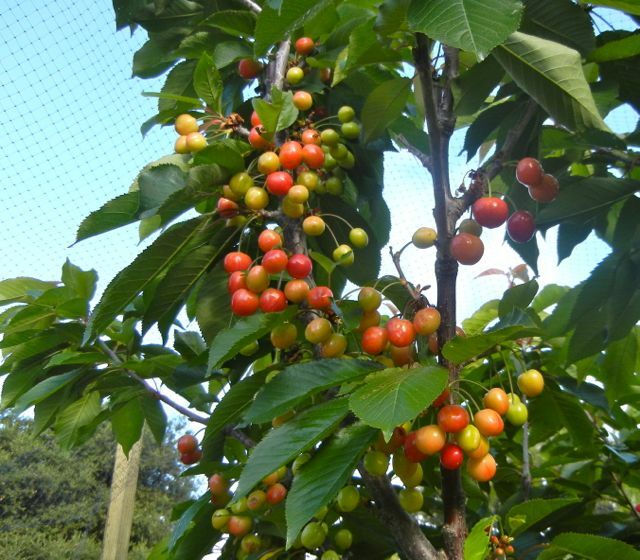 This will be our first crop from this tree. 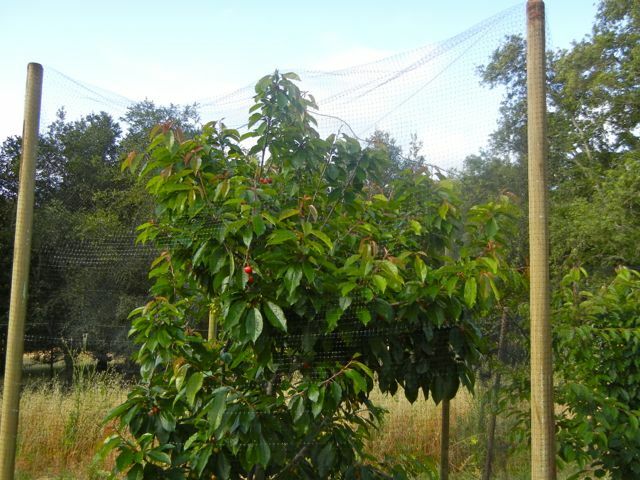 Finally, there is one stone fruit tree that remains un-netted, our new Suncrest peach. The Suncrest is one of the best-tasting varieties of peach we have ever eaten. 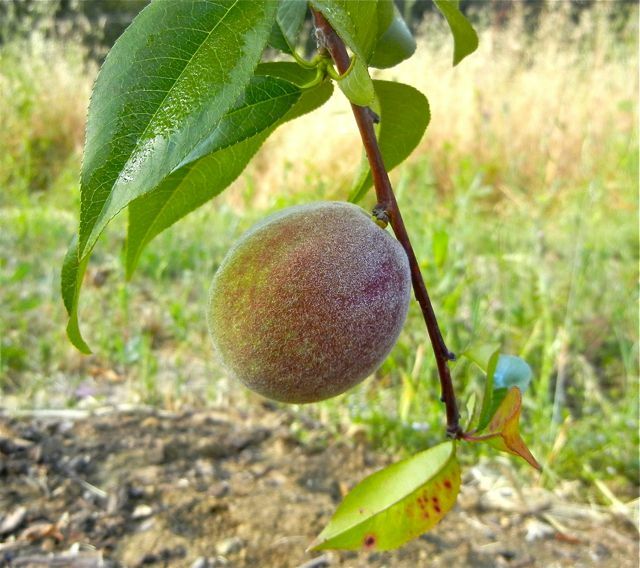 The Suncrest is a freestone peach with a gorgeous blush color and bright orange flesh. 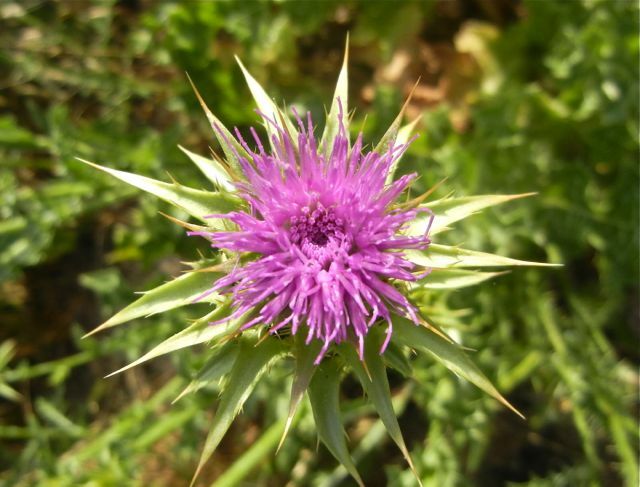 The flavor is intense with sweet, tart and tangy flavors. They are sooo good, but just as hard to find. Suncrests bruise easily and are difficult to transport. Only a few commercial farmers even sell them in California (happily, one is at our farmers market). We decided to grow our own Suncrests, but it took over a year just to find a tree. We finally found the tree and planted it last year. This year we are rewarded with one, single, Suncrest peach. And the branch is indeed heavy with that one peach. Rather than being disappointed, we view this is a positive sign of things to come. The lone, and lonely, Suncrest peach. Thanks for reading. Each year is different. This one was good. 2 years ago the wood rats stripped every piece of fruit from the trees the day before we picked. The frost is a bummer, though. I guess Michigan got it hard this year, too..
We would love the paintings! And thanks for making the Rose Pearl cocktail- I hope it went well.. Thanks for the follow! Your blog is lovely! Thanks for reading. Jealous of produce in Socal…you are a few weeks ahead! Are you in the central valley? 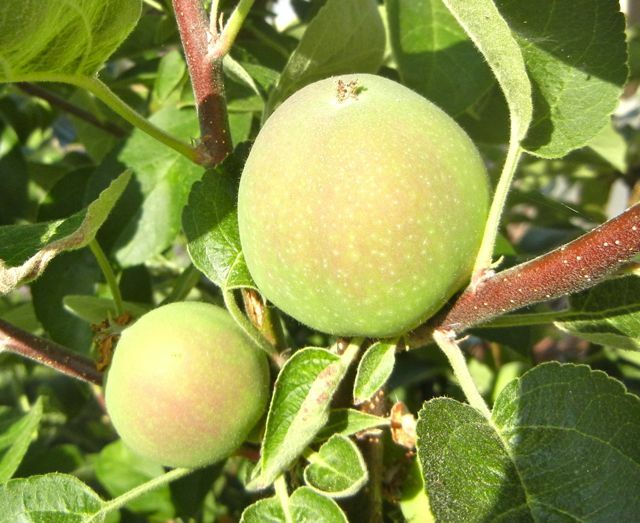 My orchard this year was again affected by the weather. 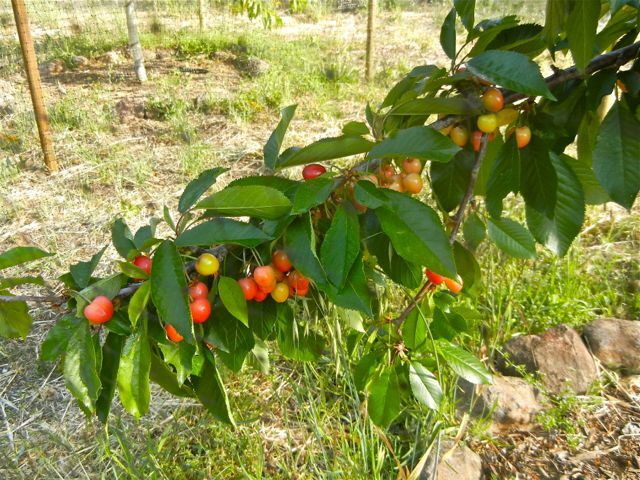 I lost all the apricots, and have maybe two cherries. My nectarine is fully loaded as are the grapes. A few pears and plums…I am envious! Thank you for signing up to follow my blog! we came from the Bay Area to the Foothills…what a difference! Your fruit is much farther along than mine! 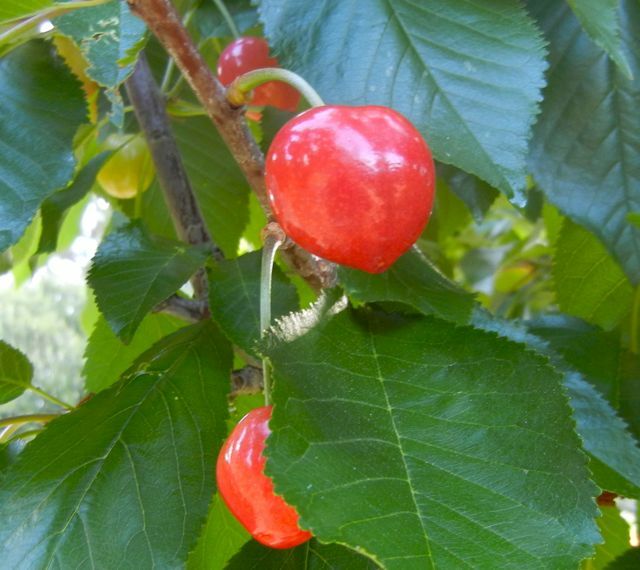 a lovely trip around your orchard – cherries are a favourite of mine. But what do you mean by “Suncrest is a freestone peach “? Hi. Really enjoyed your last post. “Freestone” means the pit, or stone, does not cling to the flesh. A “cling” or clingstone peach holds onto the pit. No specific differences in flavor, just easier to cut / eat the peach.